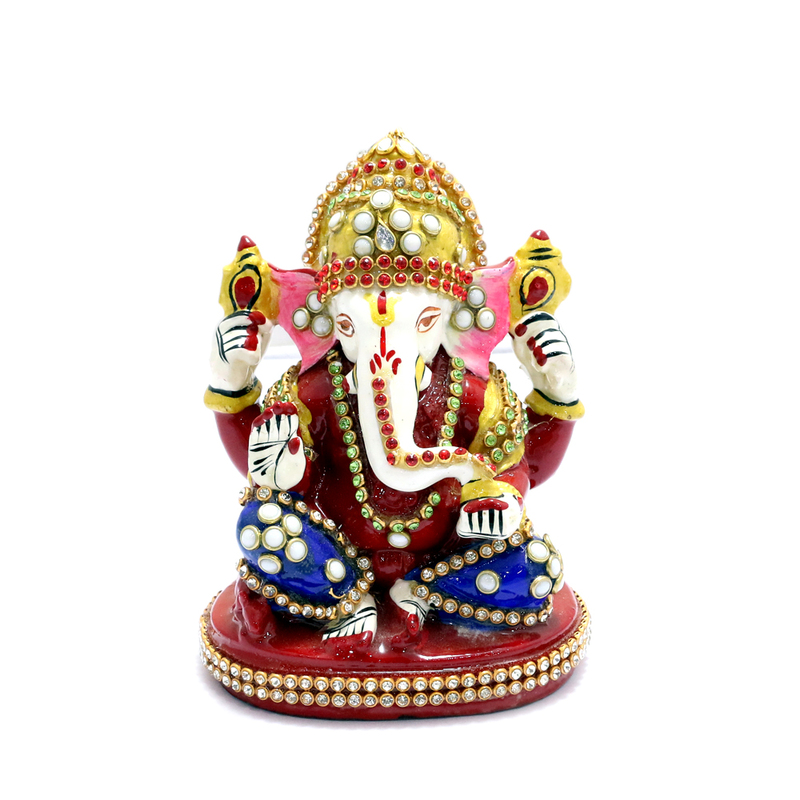 This Ganesh Idol is entirely furnished with great detail stone work and meena designs. He has a designer head band giving the idol a royal Read More..look. 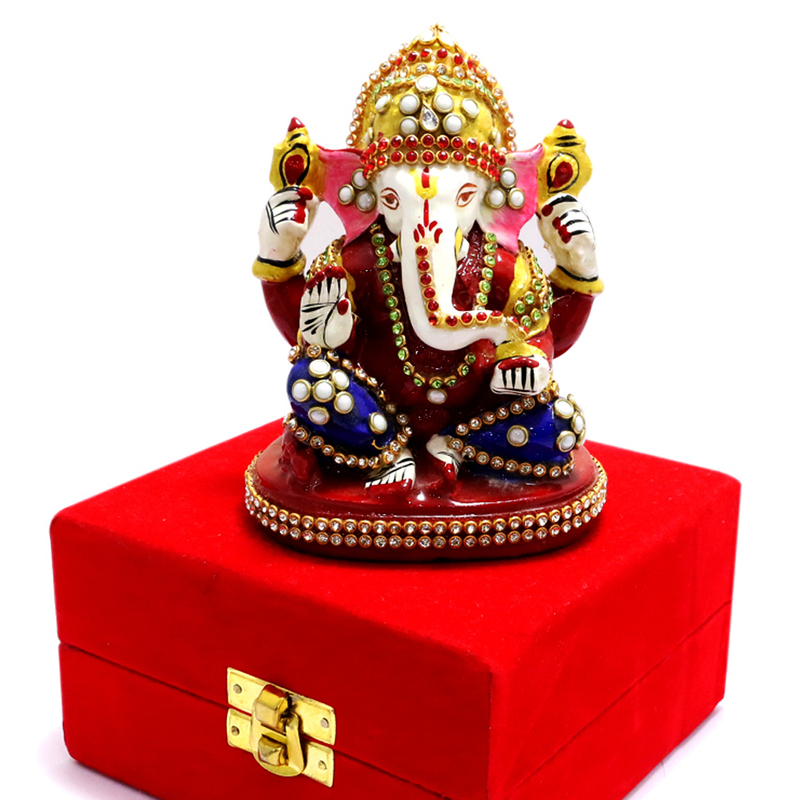 Seated on a red platform, this idol comes inside a red velvet box. 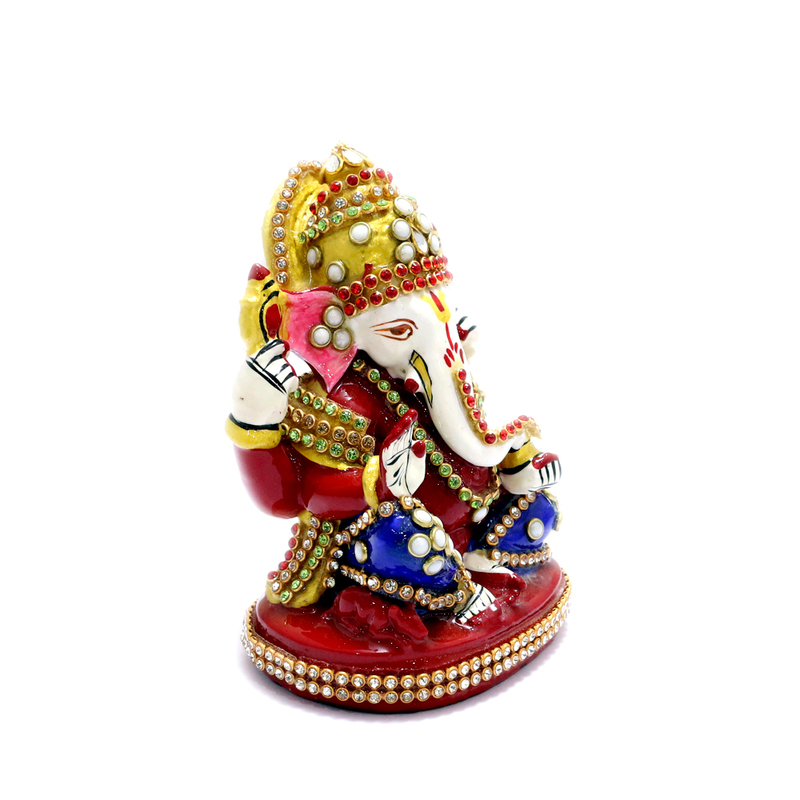 This idol will help to decorate your living area skillfully. Show Less..